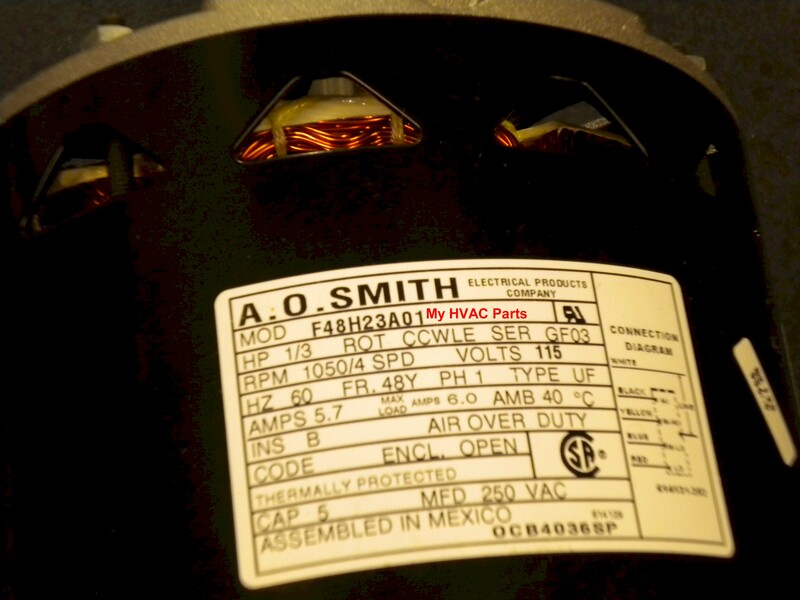 This is a picture of the Blower Motor box. 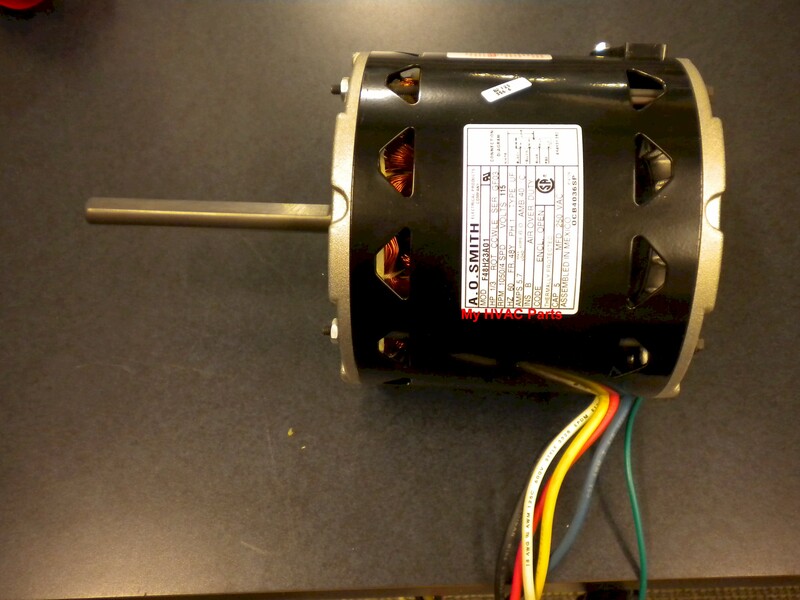 Carrier shaded pole furnace motor as used in 58GS, 58GP, 58DR, 58HW, 58HK, 349 and 394 Day and Night units. 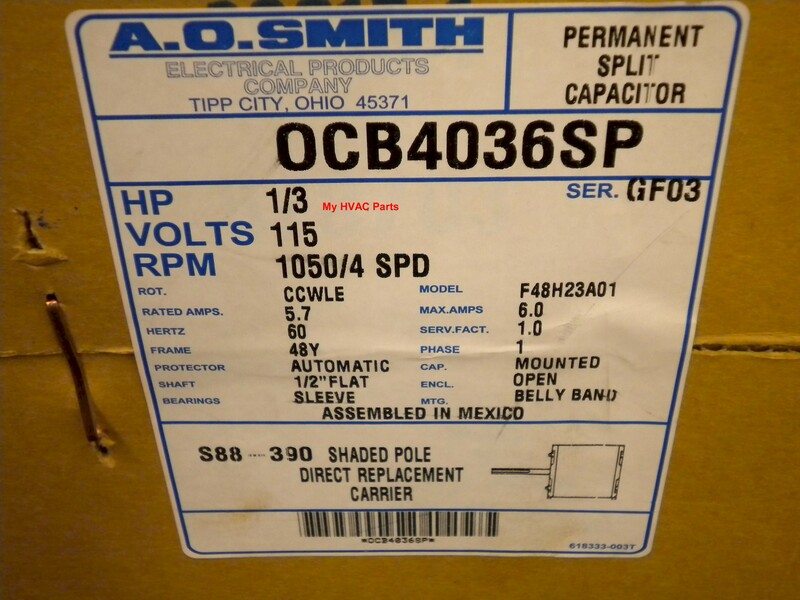 Replaces old numbers 62814-D5 and P251-2304 new Carrier number HC680004.